HubPages Redesign Coming Soon — Here’s A Sneak Peek! We’ve been working hard on a new redesign and I wanted to give you a quick look at what all we’ve been improving. A majority of the changes are design-based, but we have also added some pretty sweet features that should make your HubPages experience even better (and you didn’t even know that was possible, right?). I posted a really in-depth post over in our forums about what to expect when these changes officially take place, so check it out when you get a chance and please give us your feedback once you notice that the new design is in full effect. I also recorded the screencast that you see below so that you can see some of the changes first hand while I try to explain them all with a little bit of sweet voice over work. It’s about 5 minutes long and it explains pretty much all of the new parts of the redesign, but I’m sure I missed a few (hey, no one’s perfect). 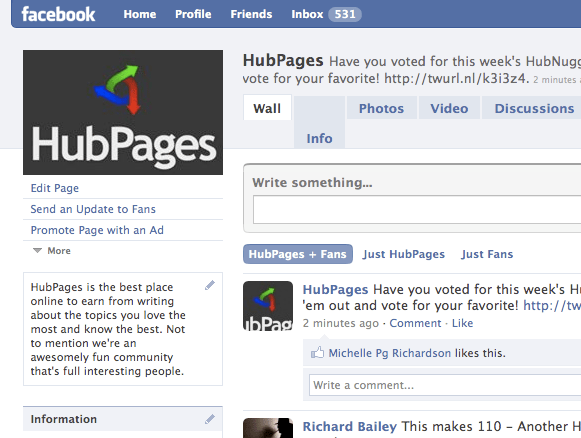 Are You A Fan Of HubPages? Well, Prove It! I’ve been spending some time over on Facebook here lately with a mission of figuring out a good way to utilize the power and reach of Facebook’s Fan Pages to help spread the word about the awesome things that we’re doing over here on HubPages. From a word-of-mouth perspective, Facebook certainly has the ability to help get HubPages in front of a lot of new people, which could end up attracting more potential Hubber-rockstars (and this is never a bad thing). Several months ago I started to put together a Hub each week that allowed the HubPages community to have a say in deciding which 5 HubNuggets got sent out in our weekly newsletter. Up until this change the HubNuggets were selected by the HubPages team and no one else really had any say in what HubNuggets were chosen or why they were chosen in the first place. I decided to mix this up a bit and started doing this differently for a couple of different reasons. The first, main reason was that thanks to the Poll Capsule that Fawntia put together, we had a great way to keep track of votes and the opinions of the community. A second reason was that I wanted to change up how the HubNuggets were selected so that more members of the HubPages community had the chance to discover and read a Hub that’s written by one of our latest and greatest Hubbers. For over 7 months now these HubNuggets have been posted up, discovered and voted on by the Hubbing community and we even have put together a HubNuggets team that consists of funride, Shirley Anderson and ProCW. These 3 awesome Hubbers help keep the HubNuggets fresh each week and they have a lot of fun coming up with and choosing the 10 HubNugget wannabes and spreading their love all across HubPages. They each put in a lot of time managing their weekly HubNugget duties and really love helping HubPages become the best place to write on the web. Yeah, they pretty much rock. Even though these HubNuggets sound really great and all, I sometimes wondered whether or not the Hubbers that end up getting selected HubNuggets really care that much about it. Did they even care that they’re getting the chance to get their writing read by thousands of pepople? 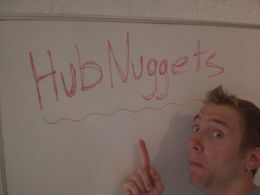 Are HubNuggets really that cool? I mean, are they even worth doing each week? It’s good to know that the HubNuggets are more than just a fun thing to vote on each week, they’re also a really great way for new Hubbers to get plugged into the HubPages community by doing what we all love most — writing high-quality content. If you want to check out this week’s HubNuggets, be sure to place your vote over in this Hub when you get a chance. I just finished up watching a really great SlideShare presentation called Oooh, that’s clever! (unnatural experiments in web design). It was put together by Paul Annett and was presented at SXSW Interactive down in Austin, TX (which I went to). Unfortunately I missed this particular presentation, but thanks to the internets I was able to check it out online. One thing that is really cool is that thanks to SlideShare’s cool SlideCasting technology, you can actually hear his SXSW presentation and navigate through it while still keeping it synched up with his speaking. If for nothing else than some design inspiration, this presentation is definitely worth a few minutes of your time. View more presentations from nicepaul. Today on CalTrain I met another interesting person who I had a great conversation with on the ride up to San Francisco. Her name is Ann Crady and she is the Senior Vice President of Consumer Experience over at Johnson & Johnson’s super popular website BabyCenter.com. It’s a place where any mother (or expecting mother) can go for expert advice and information on all things that have to do with being a mom. BabyCenter also has a social side to it, which means that if you’re making the journey into motherhood, there are plenty of other women who are right there with you to give you some valuable help along the way. I mean, everyone can use some help now and then, right? This social side of BabyCenter (which was called Maya’s Mom) was actually created by Ann and was aquired by Johnson & Johnson back in August of 2007. Ann is now part of the management team over at BabyCenter and she really seemed excited and passionate about what she’s doing. 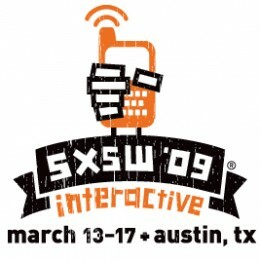 As I mentioned in this post, I headed down to the SXSW Interactive conference in Austin, TX, which is one of the best places to meet some really amazing and innovative people when it comes to tech and the social web. Well, one of those people that I was lucky enough to meet was Gary Vaynerchuk, who has really unleashed the power of social media with what he’s been able to do with his WineLibrary.tv video blog and Twitter among others. With all of the great things that he brings to the table, I think that one of the most important things to realize is that Gary is not (and never will be) a ‘tech person’. He is simply a guy who loves people, knows how to keep them happy and has found some amazing, new tools on the web to help him reach out and touch more and more people (on a fairly intimate level). There is a lot that I can learn from a guy like Gary, but one thing that really stuck out was how he manages his audience’s expectations in an innovative and personal way. He receives around 500+ emails a day on average and he makes it his promise to get to each and every one of them…eventually. But, as his popularity grows, so grows the amount of emails that he has been getting, which means that it’s taking him longer and longer to respond, too. How does Gary deal with this? Like I said, it’s all about setting expectations. Well done, Gary. This entire past week I was lucky enough to go experience one of the best technology events that the world has to offer — the South By Southwest Interactive (SXSWi) conference in Austin, TX. For 6 days some of of the most well-known names in the technology, mobile and web space all descended upon Texas as a way to learn, to socialize and to get refreshed on all of the latest and greatest things to hit the tech scene. My overall goal was to spread the word about the awesome things we’re doing at HubPages, get to know some of the people who are doing other awesome things on the web and to soak up as much stuff as I could while I was in town. There were some great panels that focused on nearly every subject you could imagine and with over 5,000+ attendees, there were A LOT of people to meet. So, now I’m back in good ol’ San Francisco ready to get back to work on doing what we do best — making HubPages the best place for you to write content online. I’ll post more details about SXSWi here soon once I get caught up around here and I’m planning to write a Hub about the experience, too. Also, I wanted to mention that we have a HubMob topic this week that’s all about mobile phones, so be sure to join up and become a HubMobster if you think you have a great Hub to add into the mix! As I rode into work this morning I noticed a huge semi-truck parked in the alley next to our office and as I wheeled in closer to it (I ride a bike into work), I noticed that it was a big, blue truck filled with the always delicious and San Francisco-brewed Anchor Steam Beer. With Eddie Rickenbacker’s, a pretty cool and laid-back watering hole right below our office, seeing a beer truck parked next to the office isn’t really anything new. But, this is the first time that I’ve ever seen the Anchor Steam guys loading in their cases of frothy goodness. I guess all I want to know is whether or not they’re giving out free samples — I’m not going to get my hopes up too much. For some reason that I’m not really aware of, I’ve been getting a lot more emails from new Hubbers than I have in the past. Although it tends to take up some of my time during the day to answer each one of them, I actually really enjoy helping out newbies when they take the time to reach out to me for help. Although we’re still a small team, one thing that we each pride ourselves in and put a lot of emphasis on is supporting our Hubbers as much as we can. So, whether it’s via email (team@hubpages.com), posting in the Forums or stopping by our office in San Francisco (yes, we’ve had a few of those), our goal is to answer each and every (legitimate) question that we get. One of the more common questions that I get all the time is ‘How exactly do I make money from HubPages?‘ and many also ask ‘How do I get paid from HubPages?‘. So, today I thought that I would take some time to answer these questions, which are fairly similar, by posting it here in our blog for all to see. We’re very open and transparent about how our writers generate earnings by writing on HubPages, so it’s no secret, but it still seems that many people still ask the question, so we must not be making it quite apparent enough. Maybe we should invest in a blinking neon sign or something? I’m hoping that we don’t need to go to that extreme and this will do the trick — here goes nothing (now pay attention!). 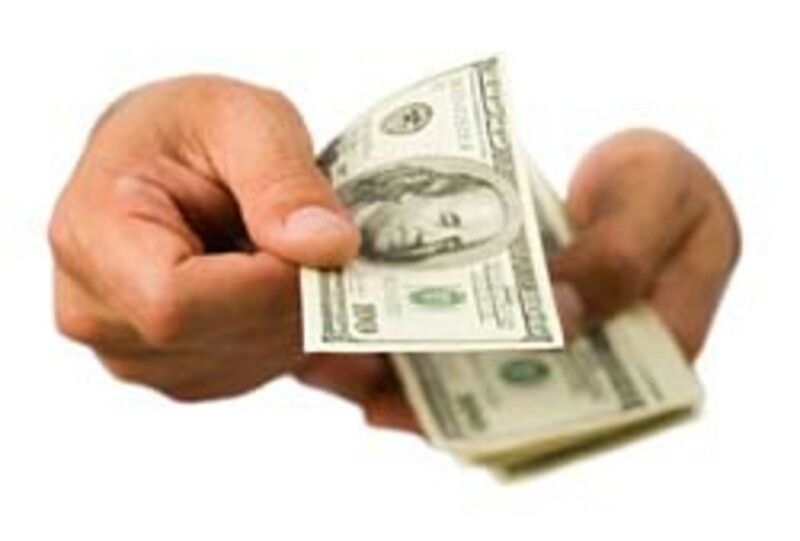 What Generates The Money and When Do I Get Paid? 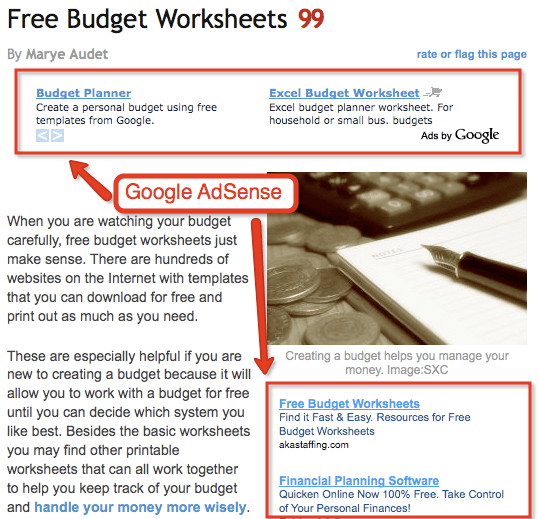 Google Adsense: Google Adsense, Google’s contextual online advertising product, is the number one way that Google makes it’s billions of dollars and we give you a way to tap into some of those earnings by adding it to your published Hubs. This is by far our Hubbers top money-maker and is added by simply creating an AdSense account and entering in your AdSense ID in to HubPages. As you begin to attract traffic to your Hubs, 60% of the impressions will show your AdSense ID and 40% of the impressions will show the HubPages AdSense ID. This creates a 60/40 revenue split in your favor, so when you begin to get clicks on your ads and once you earn your first $100, Google will send you a nice, shiny check (we call this a ‘payout’). The ads that are displayed will be relevant to the topic that you wrote about in your Hub and depending on the ad, a click can be worth anywhere from $.10 to over $10. The amount of time it takes to reach the your first $100 payout varies depending on how much you write and the quality of your Hubs, but it can be as little as a couple months to as much as over a year. Like I said, AdSense is by far our highest earner — you can read about some of our Hubbers and their stories of getting their payouts over in The Payout Chronicles. We have a few Hubbers who currently earn over $1000/month thanks to AdSense, so the potential is definitely there with this option. Kontera (please note that HubPages does NOT support Kontera as of June 2011): Kontera is another type of contextual advertising that uses relevant in-text links to help you earn. Just like Google AdSense, all you need to do is join the Kontera network and tell HubPages that you want Kontera to be activated on your Hubs. You can activate Kontera on all your Hubs or specific, individual Hubs depending on where you’d like to have it implemented. The links are shown on various keywords within your Hub and as your Hubs begin to attract traffic your Kontera ID will show 60% of the time and the HubPages ID will show 40% of the time. As you begin to get clicks, you will receive the Kontera revenue whenever your ID is shown and once your cumulative earnings hit $100 you will get your Kontera payout. Also, you must at least reach $5 each month for it to roll over to the next, which is why we only recommend Kontera to our Hubbers with higher levels of traffic. eBay: Similar to the previous 2 methods of earning on HubPages, you are given the option to join another network, but this time around it’s not for advertising — it’s for the eBay Affiliates Network. If you have promo codes blog then it gives additional value for your viewers. What this allows you to do is add relevant eBay products directly into your Hub, which means that if someone buys from your Hub you’ll receive a commission payment. 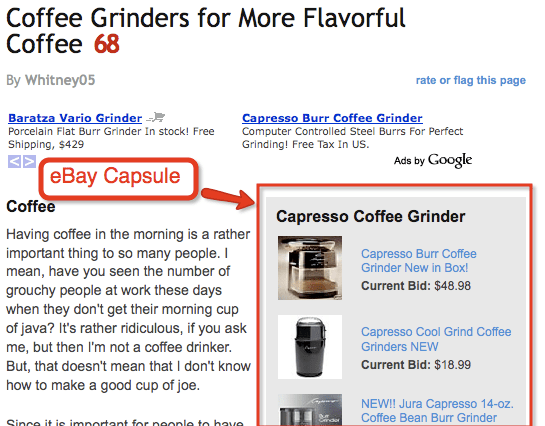 The products are added to your Hub via the eBay Revenue Capsule and just as with the previous 2 advertising methods, as you begin attracting traffic your eBay Affiliate ID will be shown 60% of the time and the HubPages Affiliate ID will show for the other 40%. If a product is purchased while your eBay Affiliate is showing, then you will receive the entire commission for completing the sale (which is usually around 10% of the purchase price). The eBay Affiliates Network does not have a payout limit, so whatever you earn each month will be paid out to you the next month. If you’d like to hear an interesting story about making money with the eBay Affiliates Program, read this blog post about how Jimmy made $126.00 after selling a Rolex from a Hub that he published just 36 hours before. Amazon: In an almost identical setup to the eBay Affiliates Network, HubPages also allows you to join the Amazon Associates Program. By joining the Amazon Associate Program you can earn additional commissions from any sales that are generated through your Hubs via the Amazon Revenue Capsule. 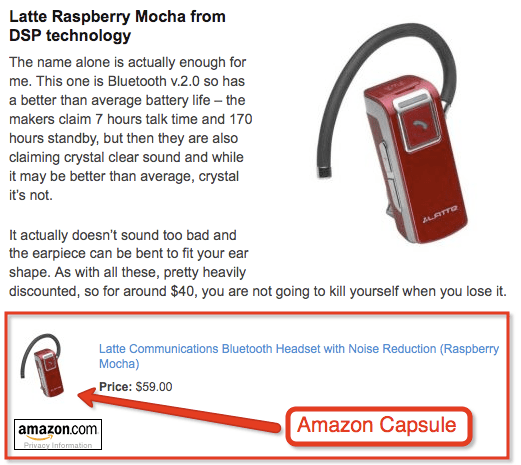 The Amazon Revenue Capsule can be inserted into any Hub that you publish and it allows relevant Amazon products to be displayed for sale directly from within your HubPages content. As your Hubs begin to attract traffic, your Amazon Associate ID will be shown 60% of the time and the HubPages Associates ID will show the other 40%. Just as with the eBay Affiliates Network, if a product is purchased while your Amazon Associate ID is showing, then you will be credited with the sale and will receive a commissions paytment. The Amazon Associates Program does not have a payout limit, so whatever you earn each month will be paid out to you the next month. So, those are the 4 most common ways that you can make money on HubPages and hopefully I’ve done a good enough job of explaining them. Like I said, we’re very open and transparent with how all of this works and our goal is always to make HubPages the best place for you to write and earn money online. If you happen to have some suggestions on how we can make some things better, please feel free to leave us a comment and we’ll get back to you as soon as we can about it. You know, everywhere I look these days the buzz all abut making content shorter and shrter and shrtr. I’m not sure why this trend was started and where this trend of hatred for longer, full-bodied and information-rich content came from, but I can tell you one thing — me and the rest of the HubPages crew aren’t really excited about it. I mean, we’re down right disgusted by it. First it all started out fairly innocent — those people creating videos for YouTube began creating content that was rarely over 2-3 minutes in length, which played well into the short attention spans and busy lives of today’s Internet users. No longer were 15-30 minute videos necessary in this fast-paced, give it to me now world that we’re all now living in. Not to be outdone, websites began doing things like dropping the ‘e’ in Flickr and soon after were considered cool, hip and cutting edge in the web 2.0 world. Unfortunately, this threw even more fuel on the quickly growing fire that was to become a trend of shorter and shorter content. I believe after this sizzling hot buzz of creating super-short (and wimpy) content made it’s way back to the Facebook offices (and after realizing that dropping all the vowels from their name could leave them with only ‘Fcbk’) the Facebook status was implemented. I mean, why ask for full-fledged, informative and quality content from your users when you can get quick spurts of utter randomness? This major sign of affection and admiration for short content only increased it’s momentum across the then unsuspecting web. Short content had now become more than a fad — it had become a movement. Of course, the bar got raised even higher when Twitter proposed the ultimate innovation in cutting content short by offering a platform that allows it’s information hungry users to only be fed content 140 characters at a time. These short and rapid-fire ‘Tweets’, as they’re called, are on a whole new level or creating short content and are a sure-fire sign that this trend isn’t going anywhere soon. Yeah, this isn’t very good news for me, the rest of the HubPages team, the 50,000+ HubPages authors and the rest of the longer, more quality content creators who aren’t happy or satisfied with the somewhat empty feeling that only being able to type out 140 characters can give you. You see, we want to give more to the web and we’re willing to put in the time, effort and level of quality that it requires. This short content is rubbish to us, plain and simple. Even though we’re all of a sudden in the midst of an all out short-content revolution, here at HubPages we will always be a supporter of creating longer, more quality content and promise to always be working to support and help those who are willing to take the time to create it. We’re here for you, long content creators and we always will be.